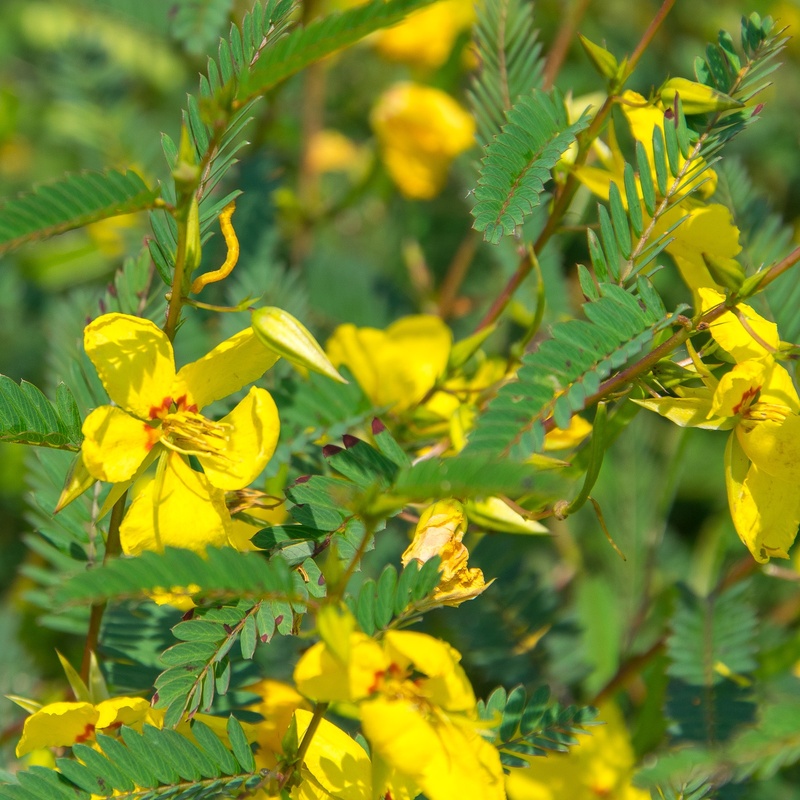 The Partridge Pea (Chamaecrista fasciculata) is a legume that frequently grows in edge of fields and boosts small clusters of flowers with slender stems and pinnately-compounded leaves. 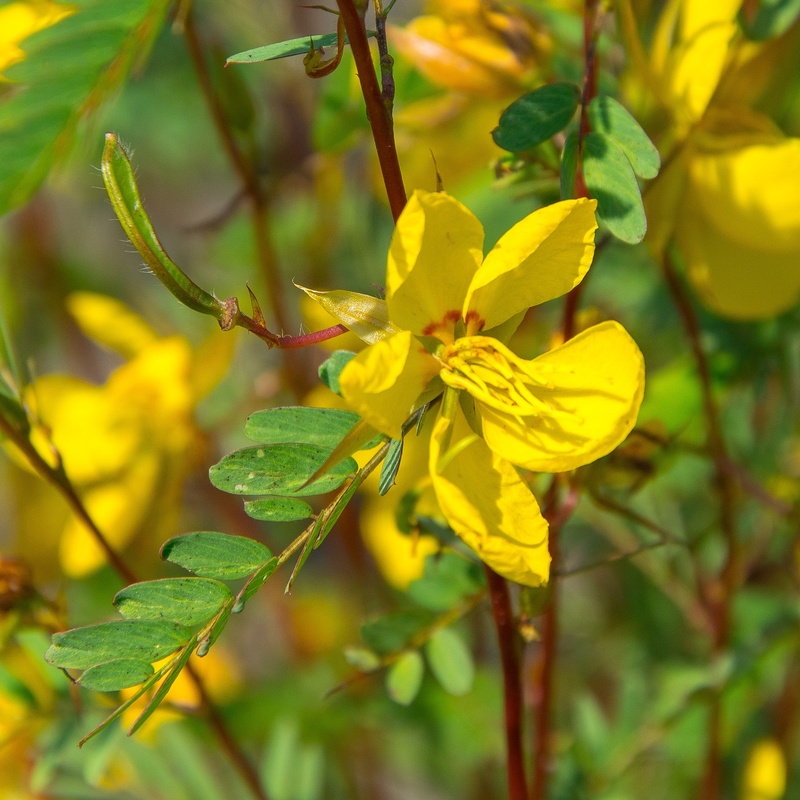 The Partridge Pea (Chamaecrista fasciculata) is a legume that frequently grows in edge of fields next to wood lines, under powerlines and open forest areas. A native of Eastern and Central United States. 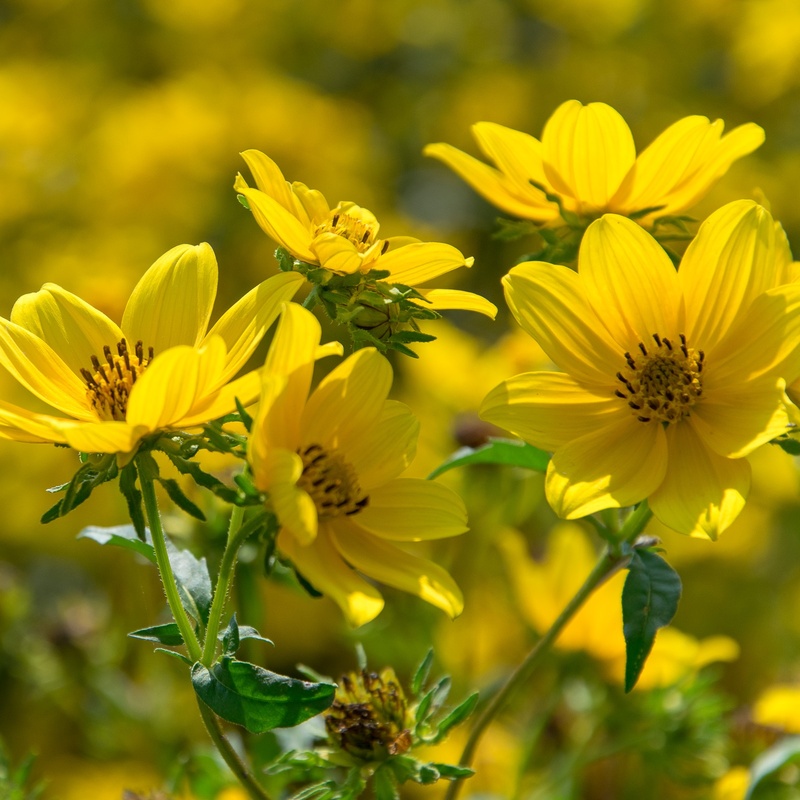 Small flowers are clusters and stems are slender with pinnately-compounded leaves. 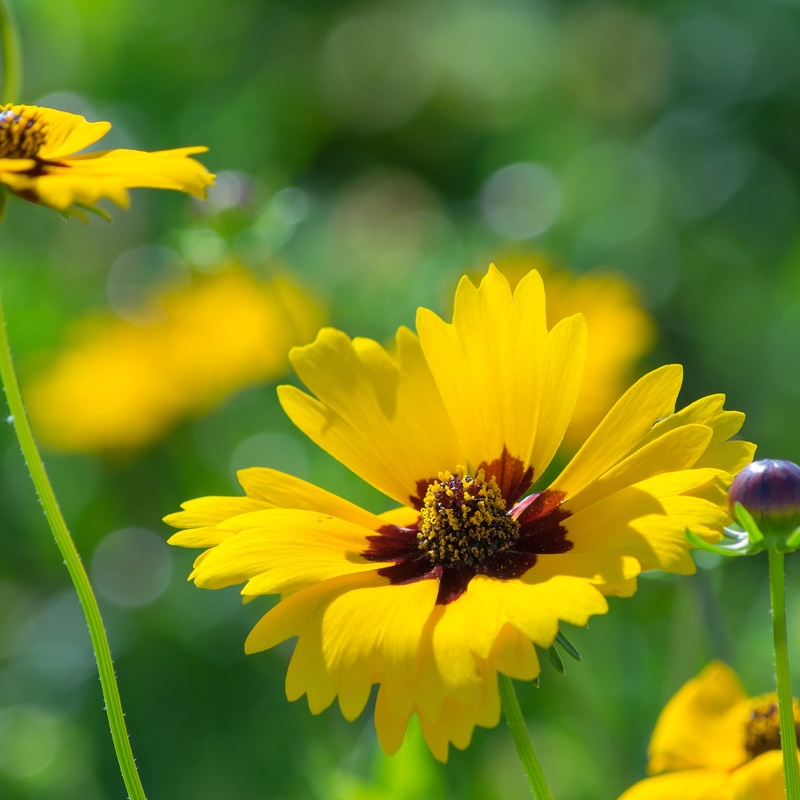 Flowers attract bees and butterflied, and seed pods are eaten by gamebirds and song birds. 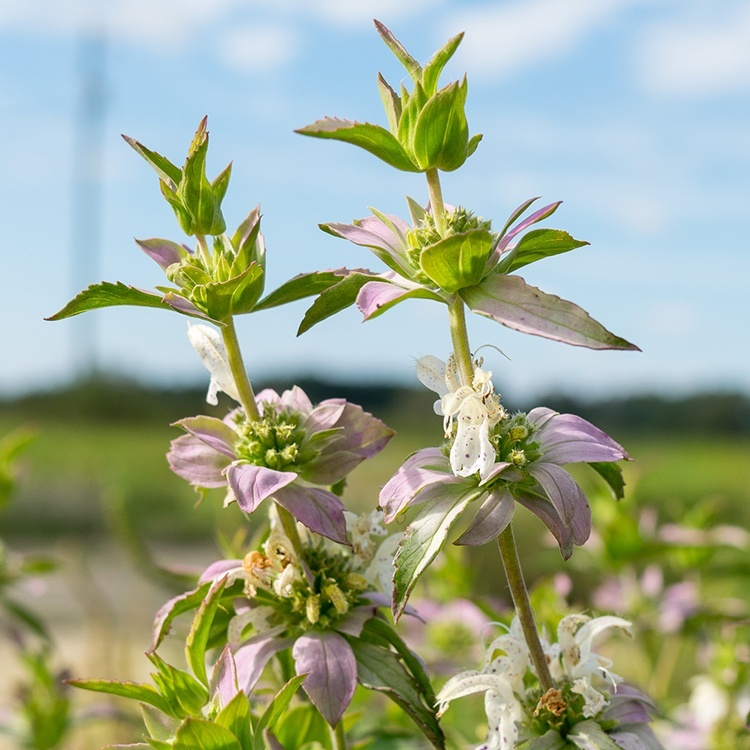 Plant provides excellent cover for quail and browse for deer. 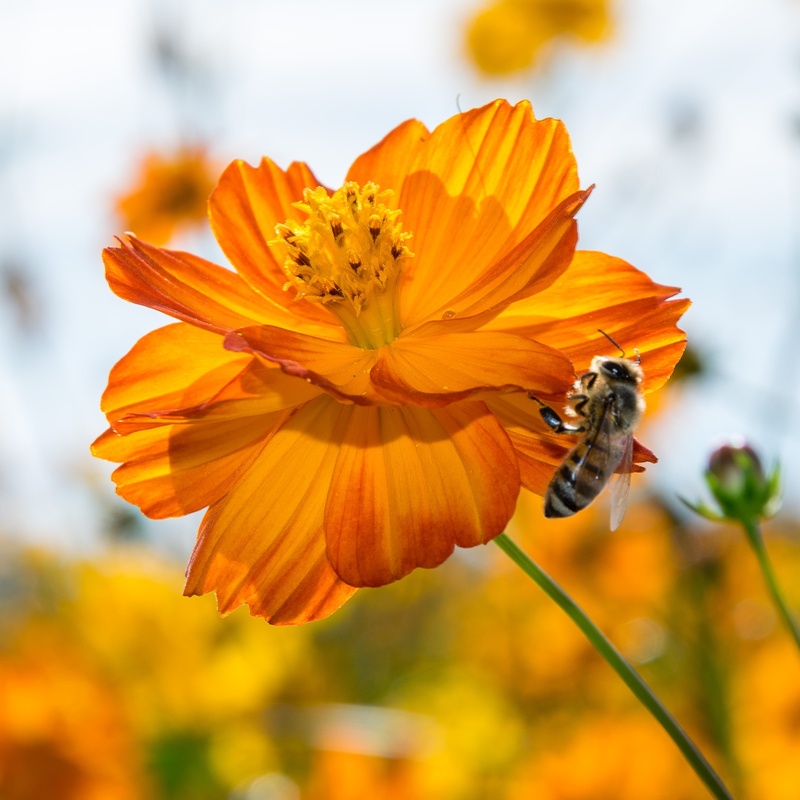 Food nectar source and special value for native bees. 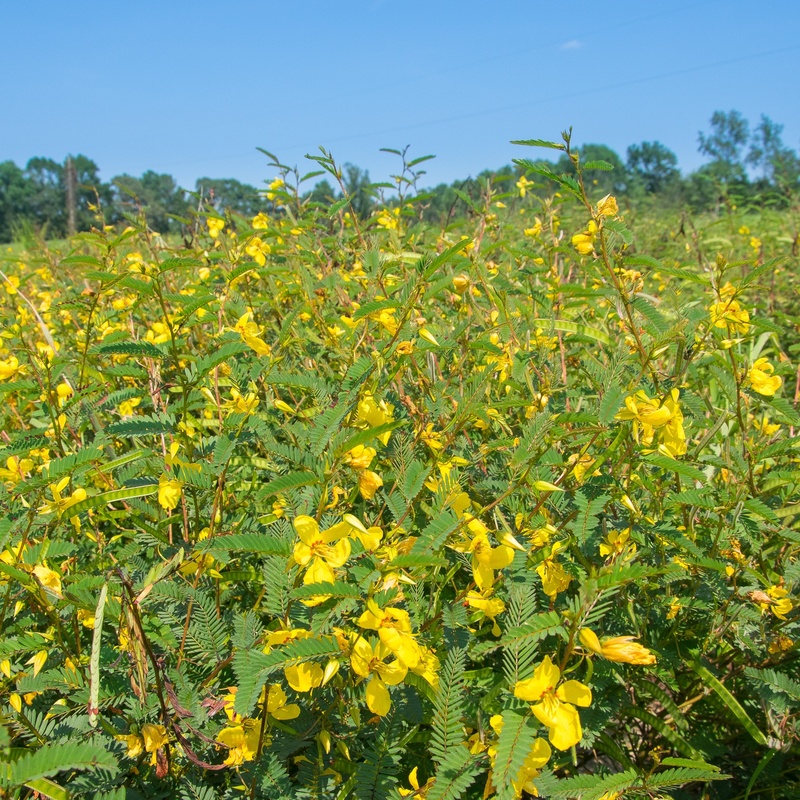 Maximum height of this plant is 3 feet on fertile soils and shorter in height on marginal soils with low fertility.